The Charter is an extension of His Highness Sheikh Mohammed’s vision for the future of the global economy, in light of the challenges experienced in the aftermath of the global financial crisis in 2008. The Charter underscores the urgent need to create a transparent economic system that strikes a much-needed balance between wealth creation and distribution. 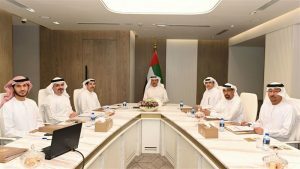 It also supports the directives of the Dubai government’s long-term development goals that correspond with the principles and ethics of the Islamic economy. Al Awar also reiterated that the Islamic economy is gaining traction as is reflected in the UAE’s leading position in five main sectors of the Islamic economy, according to the State of the Global Islamic Economy Report 2018/19, titled ‘An Inclusive Ethical Economy’.